If you have a concealed handgun permit, or you just like to shoot, then you probably already know that selecting the right firearm is a very personal decision. 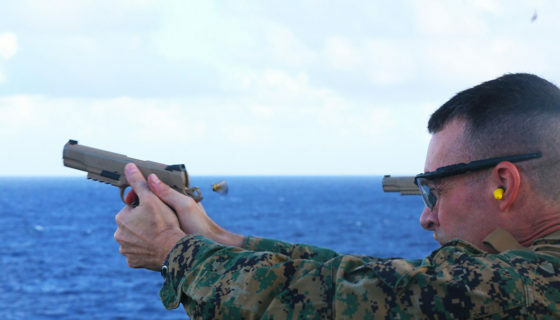 Determining which pistol would work for best in my situation was no different. Eventually, I discovered that the Sig Sauer P238 was right for me. But it took some time to find that out. I’ll admit right up front that most of my shooting experience has come from working with Sig Sauer pistols because that’s what Bryan carries and he’s the one who taught me to shoot. I’ve found Sigs to be very reliable and enjoyable to shoot. I’ve shot a few different 9mm options, but chose a Sig P232 a couple of years ago for my first handgun while at a local gun show. It’s a .380 caliber pistol that I thought at the time would work well for me, but once I got it home and started using it, I realized that it wasn’t a good match for me. Looking back, I didn’t do my research before buying my first pistol. All of the problems I had with the P232 (and still have with it) could’ve been avoided if I had handled it more before buying it, or testing it out at a gun range. It made me wonder how many people have bought a firearm at a gun show, sales counter, or online thinking they could make it work for them, or if I’m the minority with my impulse gun purchase. When I saw the Sig P232 I thought it looked sleek, compact and the price was right. Regrettably, I only held it only for a few minutes before drawing the conclusion that it would be a good purchase for me. Bryan was trying to be supportive and let me pick out what I wanted, but I think we were both a little anxious for me to pick out a gun that I could call my own. Once I was ready to actually use the gun, I found the slide was extremely hard for me to rack. How did I miss this major detail before I bought the gun? I recall Bryan and I talking about it at the gun show, but we thought the slide would get smoother once the gun was used. What actually happened as I tried to use the gun was that I was having to move the P232 from my right hand to my left, point the gun towards the ground then try to rack the slide with my right hand before I could begin shooting. Each time I took it to the range I would listen to suggestions from Bryan on different ways I could try to rack the slide. None of my efforts were graceful or easy and the slide hasn’t ever gotten easier for me to maneuver. Additionally, my index finger can’t easily reach the trigger on the P232. 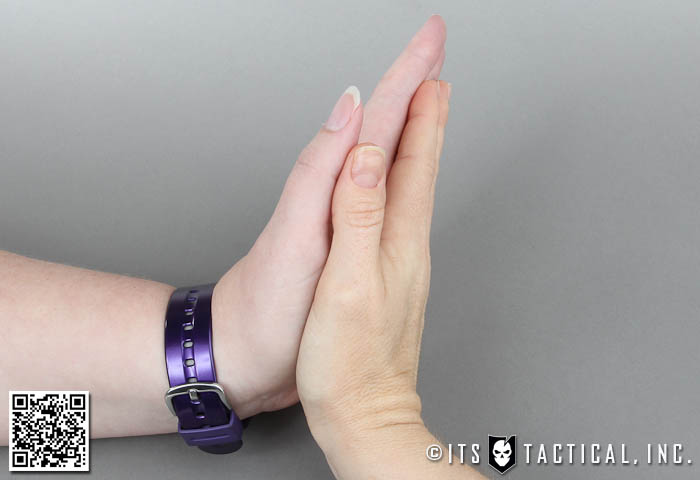 I have to slide my right hand around towards the front of the pistol grip so that my index finger can rest where it needs to on the trigger. Since the P232 has a double-action trigger the first trigger pull is heavier than the subsequent pulls, so I have to make sure my finger is positioned well enough for me to fire the first round. The P232 is still a great gun, its fun for me to shoot (once I’ve got a round chambered) and its very reliable, however its not one that I will ever be able to comfortably carry as a fast action self-defense firearm. It was a good deal at the gun show and I liked how it looked, but I made the mistake of selecting this gun by assuming it would work for me. 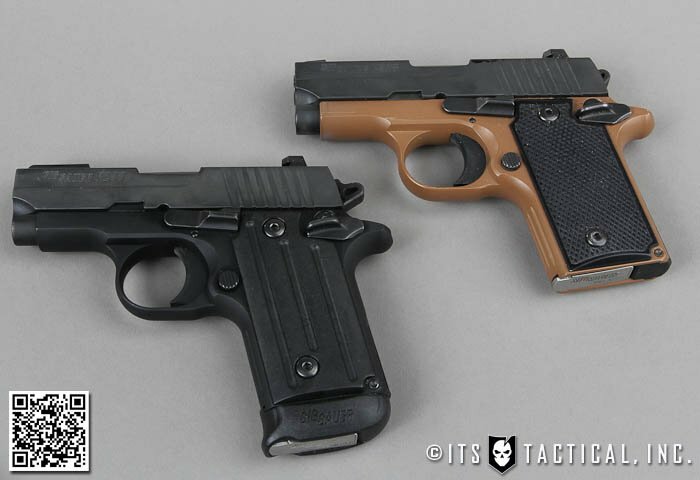 When we were at the 2011 SHOT Show I wanted to see the Sig Sauer pistols that were on display. I spotted the P238 Copperhead and was immediately drawn to it. It was lightweight, the slide was super easy for me to rack with the appropriate hand and I loved the look of it. There wasn’t a sales person breathing down my neck, so I played with the P238 for awhile, put it down and walked away. I came back later during the show to handle it some more and see if I had any new ideas or discoveries. The more I handled it, the more I liked it. It wasn’t until later in the year that I actually purchased the P238 and had a chance to fire it. I wasn’t overly concerned about test firing this particular gun before buying, because I didn’t plan to carry concealed at the time and I hadn’t come to all the realizations I’ve mentioned in this article. When I had the opportunity to finally hold the 238, I was reminded of handling it at SHOT Show and just how comfortable it was in my hands. 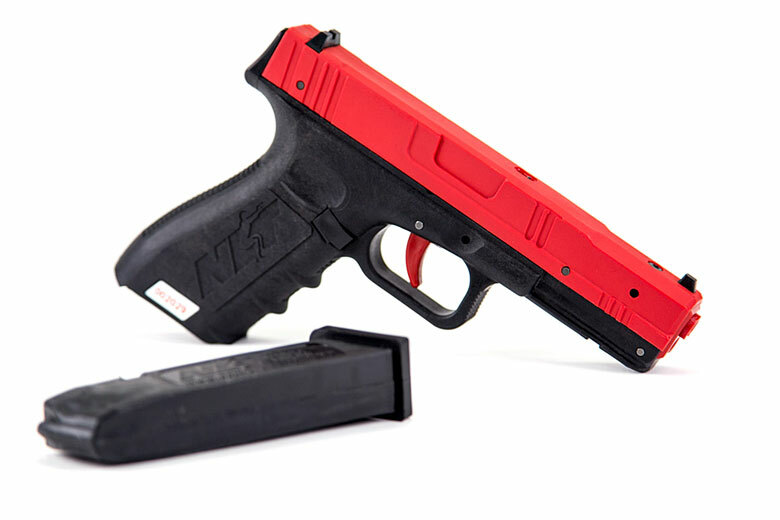 The grip size was perfect for me, my index finger easily reached and gripped the trigger, the slide was easy to maneuver and it was light enough for me to want to carry it concealed when I was mentally ready for that next step. My friend, neighbor and fellow pistol league member Jessica began acquiring an interest in shooting in recent years. We’re both new to being comfortable with firearms and concealed carry, so when I found out she had started carrying a Sig P238 Nitron I couldn’t wait to ask her what she thought about it. When Jessica mentioned she could load the P238 by herself it reminded me that this is a very easy gun to load. 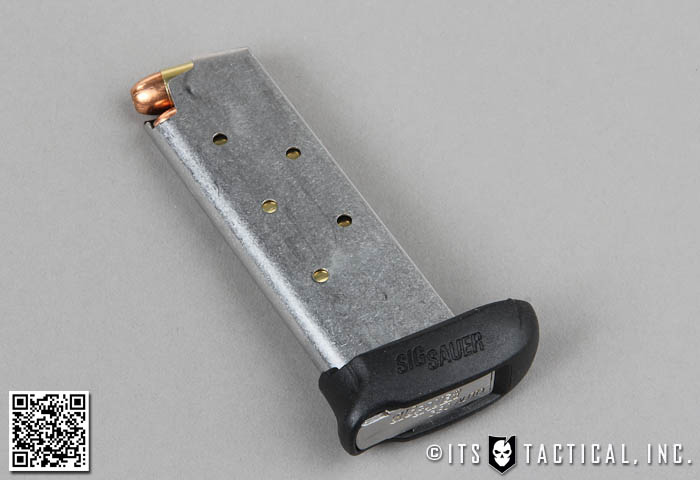 Some guns have magazines with stiff springs that make them difficult to reload and can require a magazine re-loading device to help. It was a common point made by other members of our ladies gun club that the P238 is small, lightweight, shoots well and is easy to maneuver. One member even added that she has Carpal Tunnel Syndrome but has no trouble operating the P238. The manual safety is another feature that women in our group seem to prefer. As you know, we all come in different shapes and sizes. What works for me might not work for you and vice versa. With that in mind, I thought it was important to share with you just how different my grip and hand size is from Jessica’s, but the Sig P238 works well for both of us. I use the standard magazine with my P238, but Jessica opted for an extended magazine with a rounded base to fit her hand more comfortably. Even though my index finger is much shorter than hers I’m able to comfortably reach the trigger. There have been many people, both men and women, who’ve voiced concerns about a .380 not being a high enough caliber to provide adequate self protection. Fortunately, there are shooters on both sides of that fence. 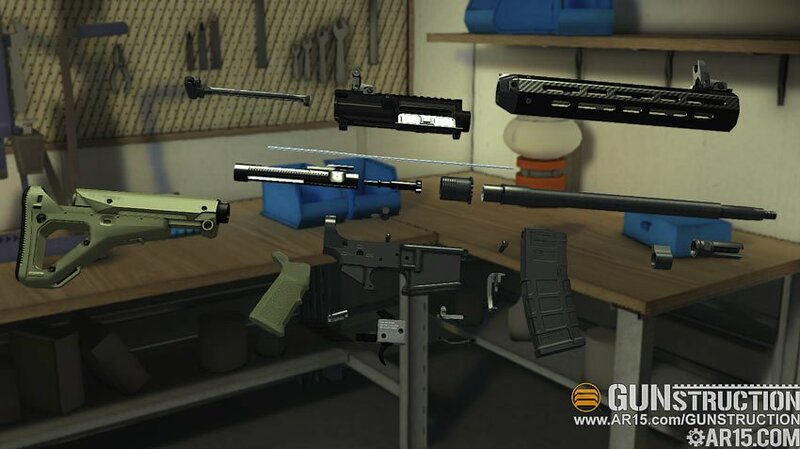 Granted, smaller pistols regardless of caliber tend to have a smaller magazine capacity. That’s why one of my main goals in practicing with my carry pistol is to always improve when it comes to accuracy. I want to feel confident that I can put my limited number of rounds in just the right spot so I’m provided as much protection as possible. Jessica carries her P238 Nitron concealed by using the Astraea pocket holster or the Athena appendix holster, both made by Soteria Leather, depending on what type of garments she’s wearing. Both holsters have helped Jessica to confidently carry her P238 on her body. I’m currently testing out a few different concealed holster options to see what works best for me. 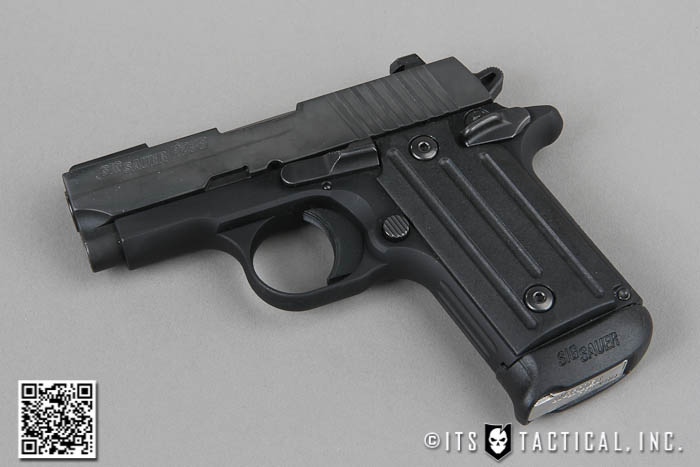 The P238 has an optional extended magazine so you can carry an additional round. For those who prefer to carry more than the six (or 6 +1) rounds a standard P238 magazine permits, you may want to consider carrying an additional magazine within reach of your pistol. 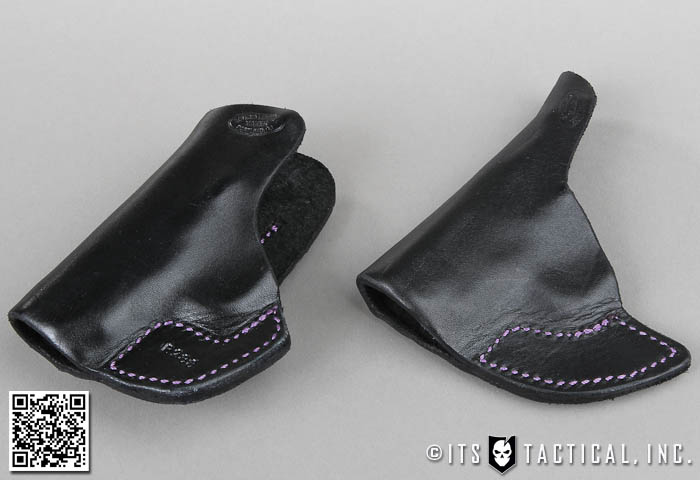 Many custom holster manufacturers make their products with the ability to carry not only your firearm, but also an additional magazine. 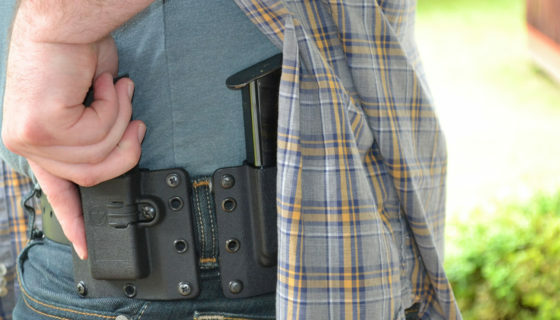 When I first took my gun out of the case I noticed it came with a small, hard plastic mini-holster that can be clipped to a belt or waistband. 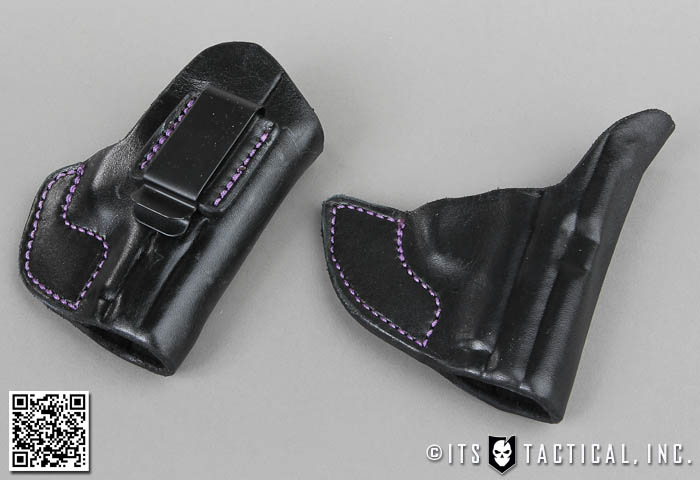 I wasn’t impressed with the plastic holster at first because when drawing from this holster I’ve had to use my left hand to hold the holster while my right hand draws the gun out. The only use I’ve found for it is when I’ve carried my gun in my purse, I utilize this holster to keep the trigger covered and protected. I’d also like to note that I personally think carrying concealed in a purse is not the best option, as the gun is not readily accessible as it should be when on your body. Also because the gun can get jostled around and create a safety hazard. As with most things you buy, there are both positives and negatives when it comes to a product. Fortunately with the P238, the down side is brief as far as I can tell. Below, I’ll share a few usage notes. 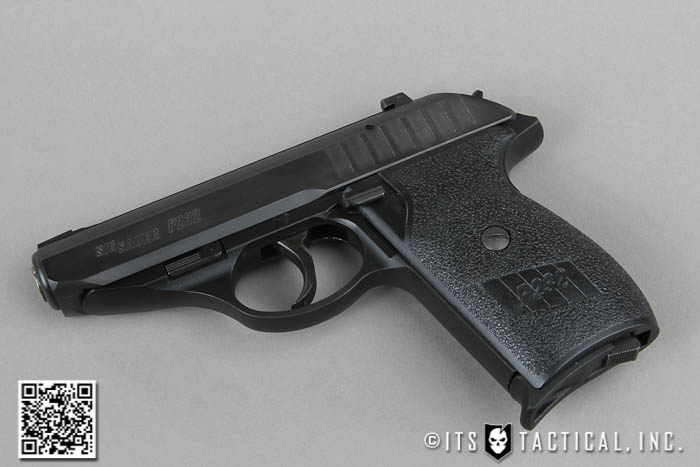 Another option to consider if the cost of ammo has you nixing the P238 as the concealed carry gun for you, is the new Sig Sauer P938. 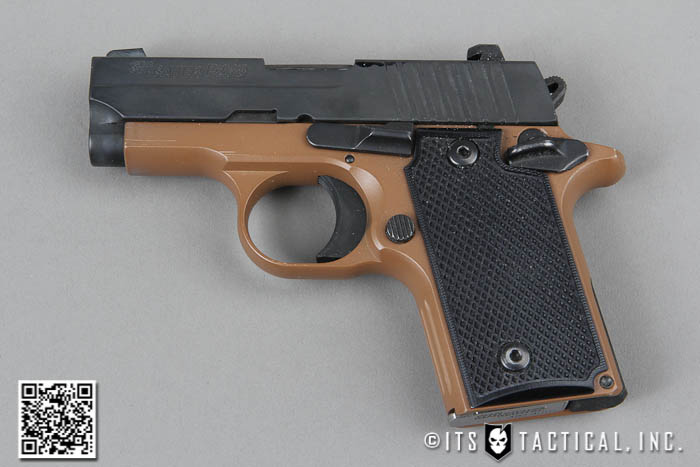 This gun is very similar in style, size and functionality to the P238, but comes in 9mm instead of .380. When I took my P238 to the range for the first couple of times, I had difficulty getting the first round to fire. I found that I had to slam the magazine into the mag well when I loaded it to make sure the magazine was fully engaged. Those first visits to the range left me with a bit of soreness in my left hand since I wasn’t used to tapping the magazine so hard, but as I learned how to use my gun better this has become a non-issue. There have been a handful of occasions where my first round in a magazine has not fired, but there is evidence of the firing pin hitting the back of the bullet. It hasn’t happened enough for me to think my Copperhead isn’t reliable, but I’ve learned I need to make sure I’m racking the slide hard enough to the rear before letting go; properly chambering the first round. Since the slide is so easy to rack on the P238 I think sometimes I’m not pulling and releasing it fast enough to fully chamber the round. Anyone in the market for a personal defense firearm that’s easy to carry and conceal may seriously want to consider the Sig Sauer P238. This is a tough little gun that can help you put up a big fight should you need it to.